Dr. Kenneth Brown joins University Dental Associates all the way from California. He completed his education at Stanford University, where he earned a degree in Human Biology and found time to play in a few NCAA tournaments as a member of the Stanford Men’s Basketball team. 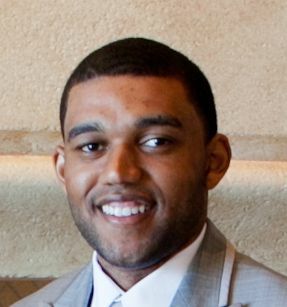 Kenneth became Dr. Brown after completing his dental training at Texas A&M Dental School graduating at the top of his class. With an interest in surgery, Dr. Brown, went on to pursue Oral & Maxillofacial Surgery at Harbor UCLA Medical Center in Los Angeles, California. Dr. Brown has a true passion for implant dentistry and a particular focus on full mouth implant rehabilitation. In addition to dentistry, Dr. Brown has interest and experience in non-profits, real estate, technology and innovation. In his free time Dr. Brown spends time enjoying date nights with his wife and running after his toddler son. Dr. Brown is grateful for the opportunity to join the UDA team and looks forward to providing tremendous value to the Winston-Salem community.